Avant Garde Clematis: flowers in two shades of pink. 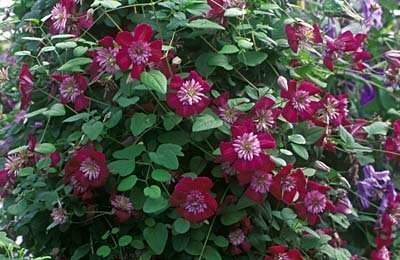 Tiny, two-toned blooms make this clematis a standout! or paired with the ever-elegant Comtesse de Bouchaud. so be prepared to be patient!